This musical is designed to be performed by children ages 5-11. With purchase, you will get access to download the script/director’s guide, songbook, graphics, audio recordings (demo and performance tracks), video clips for use during the performance and viewing access for video demonstrations of the suggested choreography. Kids Talk About God has created a new children’s musical based on the true story of an 11-year-old girl who travels to Africa to begin her global journey reporting on the work of real missionaries. Because this musical focuses on Africa, we asked one of Africa’s top music arrangers and producers to record all eight songs in his Kenyan studio. The result is a genuine African sound that makes children want to dance and sing! 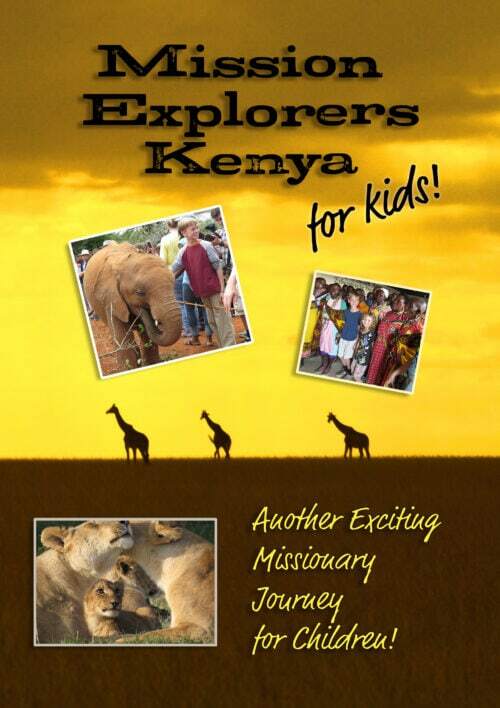 Now you can effectively teach children the real concept of missions–the true meaning of “Go therefore and make disciples.” Make it easy with Mission Explorers Africa: The Musical. This musical may be done as a simple, concert version or any variation up to a fully-staged, Broadway-style musical with suggested choreography that you can view on our website. With this 45-minute musical, parents, teachers or anyone who works with children can help them connect with Africans without ever leaving their church, school or home. This musical helps children experience the excitement of African missions while learning to share the gospel in their world.